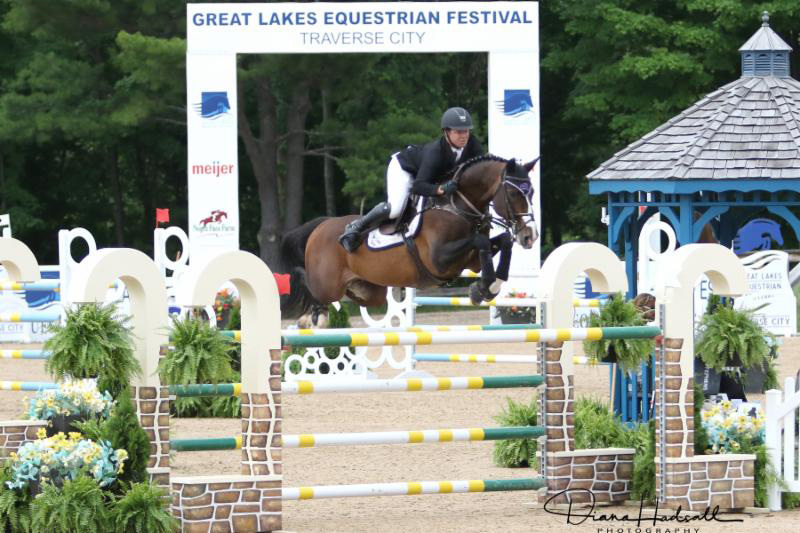 Shane Sweetnam went on quite a run during the first week of the Great Lakes Equestrian Festival, winning the the $50,000 Meijer Grand Prix aboard Cyklon 1083 just days after having topped the $25,000 Welcome Stake. Seven clear rounds emerged from the 15 horses and riders who contended Keith Bollotte’s first round course. Sweetnam returned as the first to jump off in Sunday’s grand prix. 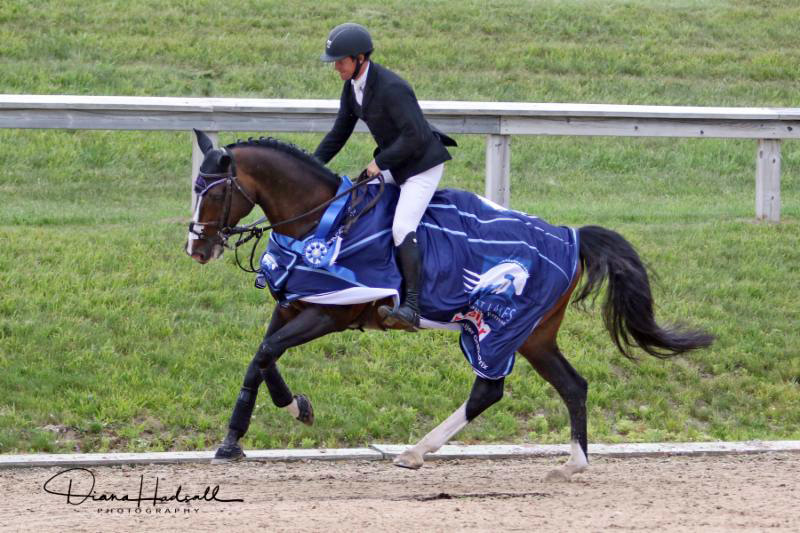 He and the 16-year-old Swedish Warmblood stallion owned by Spy Coast Farm LLC performed faultlessly and set the time to beat at a blazing 35.75 seconds after opting to take an impressive inside turn between Fences 1 and 2—a triple bar to a tall, skinny vertical. “I knew there were fast riders behind me, and I saw the [inside turn],” Sweetnam said. “I knew I was on an experienced horse, so I tried it and it worked out. The last line walked an outside six [strides], but watching the riders that came after me do five, I thought I left the window open a little bit by not doing that but it worked out. It wouldn’t be until three rounds later that another pair would attempt the same inside turn to try and catch Sweetnam’s time. David Beisel and Equine Holdings LLC’s Ammeretto navigated the shortened course, imitating Sweetnam’s track almost exactly but leaving out one stride to the last fence, and crossed the finish line in 35.80 seconds – just 1/10 of a second off Sweetnam’s winning time for second place honors. Beisel also nabbed the yellow ribbon for third place with his second mount of the class, Call Me Hannes, owned by Harlow Investment Enterprises LLC. The pair rounded out the three double-clear performances of the jump-off, finishing in 39.88 seconds. Sweetnam is headed to Europe to compete, but Cyklon 1083 will go back to Spy Coast Farm in Lexington, Ky., to be collected. “Then he’ll jump in Kentucky in three or four weeks and he’ll have a busy fall at the [Hampton Classic], American Gold Cup and indoors,” Sweetnam said.